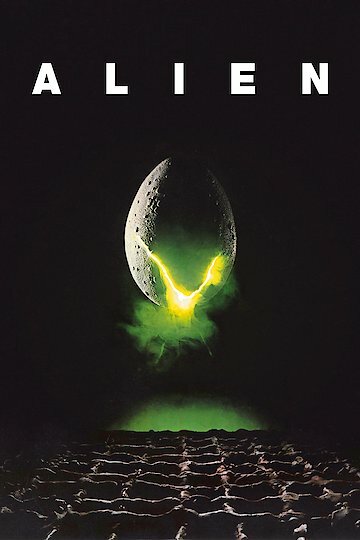 Alien is a science horror film that came out in the year 1979. It was directed by renowned director Ridley Scott. In this movie viewers will get to see a very interesting and thrilling story. The movie is about a crew of people who ship various natural resources throughout space. One day they receive a signal from a ship in another planet and explore it. A few members of the crew stumble upon a large spaceship and discover various lifeforms. One of the lifeforms jumps onto one of the crewmembers face and injects an object in him. Later on as they leave the planet, the man has a creature burst out of his torso killing him and allowing it to roam freely in the ship. As a result the creature grows to be a very large size and terrorizes the crew killing them one by one. This movie was initially one that received a mediocre reception but over time it got lots of acclaim and is now an all time classic. In the 22nd century a group of workers for the Weyland Yutani Corporation are shipping ore to Earth. While they are sleeping they are awakened by a signal of another ship from a nearby planet. The crewmembers wake up and land on the planet. Once they land they discover a spaceship and find out it has various lifeforms on it. They go down to the lower level of the ship and find even more lifeforms. One of the crewmembers has a creature jump onto his face. The other two crewmembers bring him back into the ship despite warnings of contamination. Once they are in the ship they find a creature that is latched onto his face. They are unable to get it off. However the creature eventually gets off his face by itself and dies. After this happens the crewmembers leave the planet and the man seems okay. Unfortunately the man had a creature in his body and it then bursts out killing him. Once the creature is out it roams around the ship and grows to a large size. The crewmembers are desperately trying to locate and eliminate the creature. However all but one of them survives and succeeds in eliminating the creature. In the end the remaining survivor goes back to sleep and waits to return to earth. Alien is currently available to watch and stream, buy on demand at Amazon, Vudu, Google Play, FandangoNow, iTunes, YouTube VOD online.